The amnestic disorders are a group of disorders that involve loss of memories previously established, loss of the ability to create new memories, or loss of the ability to learn new information. • The amnestic disorders are a group of disorders that involve loss of memories previously established, loss of the ability to create new memories, or loss of the ability to learn new information. 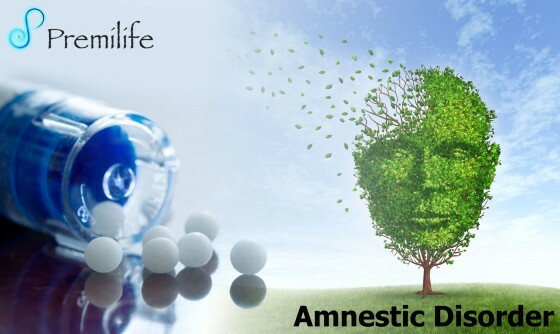 • The amnestic disorders result from two basic causes: general medical conditions that produce memory disturbances; and exposure to a chemical (drug of abuse, medication, or environmental toxin). An amnestic disorder whose cause cannot be definitely established may be given the diagnosis of amnestic disorder not otherwise specified. • It’s normal to forget things once in awhile. We’ve all forgotten a name, where we put our keys, or if we locked the front door. But forgetting how to use the telephone or find your way home may be signs of a more serious problem. These include Alzheimer’s disease or other types of dementia, stroke, depression, head injuries, thyroid problems, or reactions to certain medicines. If you’re worried about your forgetfulness, see your doctor.